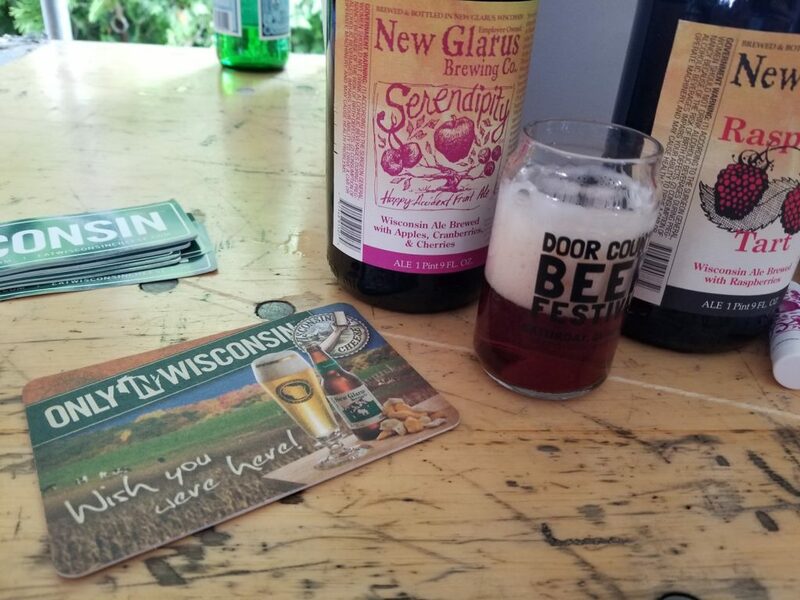 The folks at the Door County Beer Festival went above and beyond to create a fantastic beer drinking event on a sunny June Saturday that embodied everything that is great about the Wisconsin beer experience. 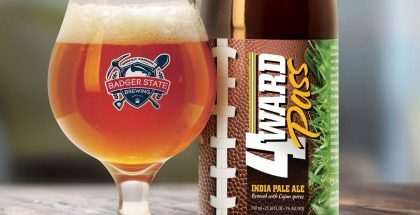 There were 58 breweries in attendance with more than 35 of those coming from a Wisconsin area code, but it wasn’t just the familiar brews of New Glarus, Karben4 and Capital Brewery that made this former Badger’s heart happy. This festival had great cheese, good people and a fun-loving vibe that exuded throughout every person you met. 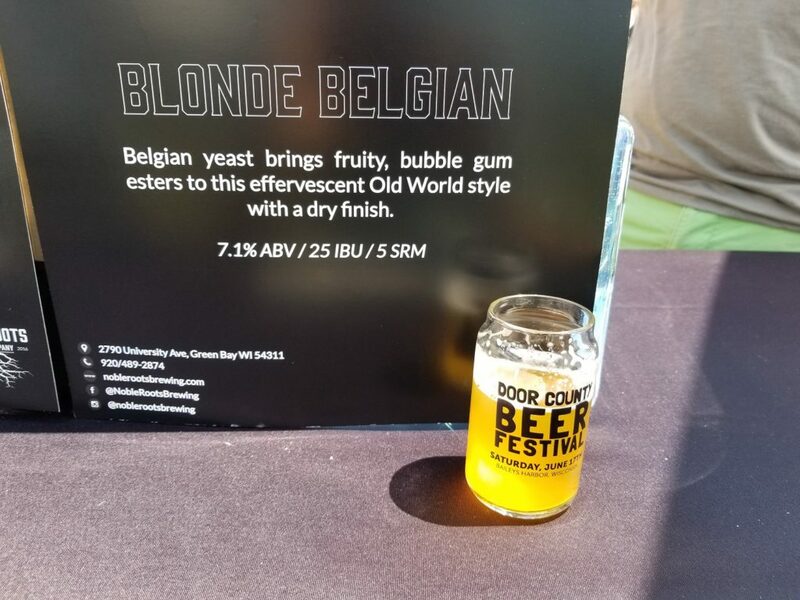 No brewer was off limits, no question too stupid – Door County Beer Fest welcomed all – as long as you had an empty stomach. It had rained heavily the night before, so I was initially worried about how the field would take the water. No problem for the Door County crew, who utilized a pump usually used to pump water from the local ice hockey rink and several bales of hale to sop up the messy puddles. Day-of, you couldn’t notice a single drop, which showed just how committed the organization behind the festival are to ensuring a fun beer experience for everyone who made the trek up to Bailey’s Harbor. 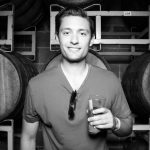 When I walked on the now-dry grass inside of the expansive main beer tent, I didn’t have to worry about mud, I could focus on the beer – and boy was there a lot of it. As I mentioned, 58 breweries made an appearance, including several local brewers native to Wisconsin’s southern peninsula that I would have been hard-pressed to find outside of Door County like Thumb Knuckle Brewing and Shipwrecked Brewpub. I think I paced myself better than I have at past beer festivals, but the day still got away from me. From the two pages of notes I was able to write down, here are my top 5 highlights. Fermenting with wild yeast is all the rage right now, and Door County Brewery did a masterful job with their County Lineage saison, which was fermented in wine barrels with wild yeast strains. The beer combined a waft of sour on the initial taste with a delicate aftertaste of sweet tartness that gave it a really nice flavor combination. This one was my favorite pour from the rare beer tent that was offered to VIPs. Honorable mention goes to New Glarus’ Serendipity which delivered some awesome apple and cranberry flavor. There were a ton of good IPAs at the fest, but there was only one that my entire group raved about, and that was the 51K American IPA from Black Rocks. Brewed with both centennial and citra hops, this IPA had great notes of pine and grapefruit/citrus throughout. Its dry finish made it instantly refreshing. Honorable mentions, because there were so darn many, include Karben4 Fantasy Factory (my college go-to) and Shipwrecked 20 Year Storm IPA. 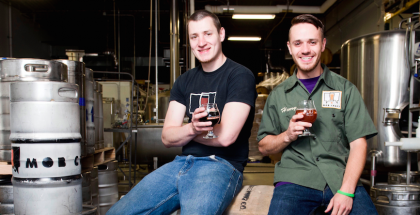 Best New Brewery | Noble Roots Brewing Co. There were a bunch of new breweries making their mark at the Door County Beer Festival, but there was one new Green Bay startup that really made an impression: Noble Roots. This new brewpub on Green Bay’s Eastside has only been open for a few months, but they brew some really great, complex stuff that gives me confidence that they’ll be in business for many years to come. My favorite: their Blonde Belgian Ale, which delivered appealing notes of bubble gum with a dry, drinkable finish. Of course there was awesome beer, but the goat cheese burger from Door County Creamery was truly unforgettable. This burger was served with an over-sized dollop of delicious pepper jack goat cheese that ensured that every bite was oozing with creamy dairy goodness. My buddy and resident burger expert gave this burger full marks, so I’m inclined to do the same. Honorable mention goes to Badger State who brought delicious doughnuts to pair with their Buzzy Badger Coffee Ale. Disclaimer: I ate the burger too fast so I didn’t get any pictures, so please enjoy this picture of delicious doughnuts. Pouring Buzzy Badger Coffee Brown Ale @dcbeerfest in Baileys Harbor today. Doughnuts courtesy of Singing Doughnut in Fish Creek! 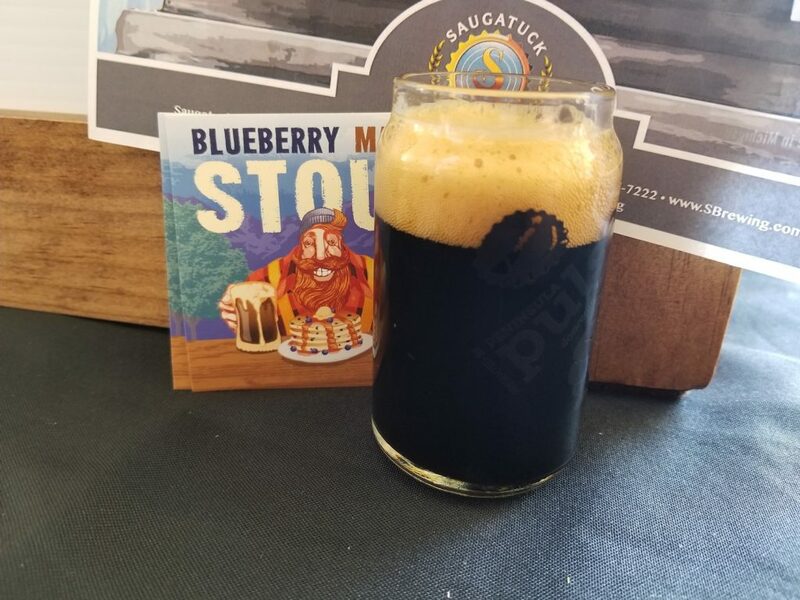 It was hot out, so picking a stout might seem weird, but this Blueberry Maple Stout from Saugatuck was outstanding. It had such great flavor throughout: first the blueberry and maple hit, then it was finished with malt and vanilla after-burners that rounded out its dynamic flavor profile. 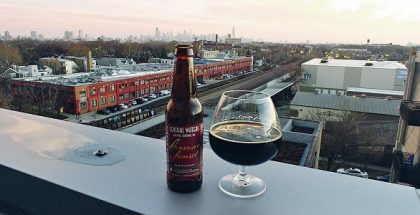 This beer distanced itself from the sometimes one-note flavor of other stouts I’ve had and made me appreciate what this brew style can deliver on a greater level. 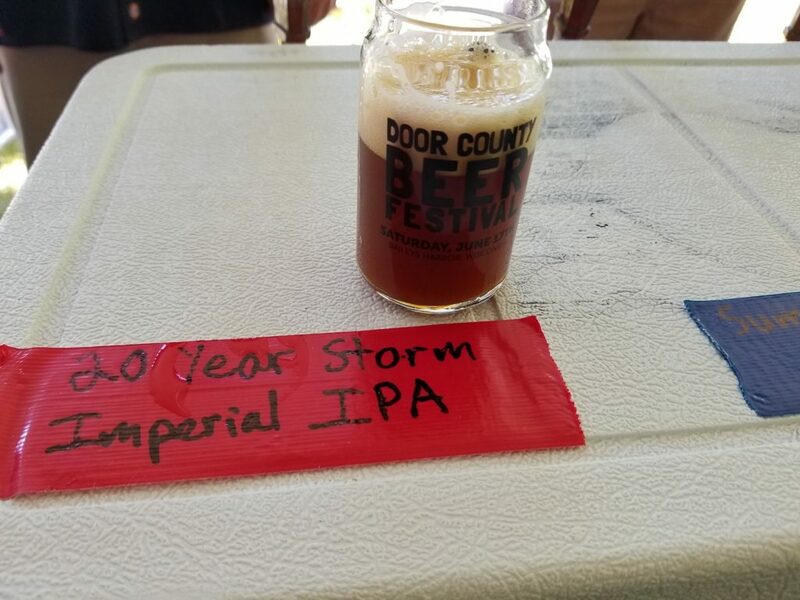 So, that’s my recap of the 6th annual Door County Beer Festival. I got to experience this festival with some of my best buddies, with amazing weather and in an awesome destination like Door County, and I couldn’t be happier with how everything turned out. Cheers!